Hayley has a few scathing words about Thomas Malick's decision not to use his score. If you will excuse me Stephany, I feel I must attempt to translate a few of Hayley's words. I'll not pretend I am as good at is as you are, but I feel this shows how she feels about it. "It's incredible, indeed scandalous to refuse a piece like "Of The Forest", or to remove the magnificent song that is "Listen to the Wind". It has everything it needs for the most presigious American competition (presumably the Oscars). Instead, it has stayed in Virginia. (I have) the satisfaction to have worked with the most poetic of composers. One can identify with Pocohontas..."
Good on yer Hayley! I couln't agree more! ......and then a Maori song by Hayley came to my ear. I listened and I stopped. Hayley stopped me straight away when I heard Pokarekare Ana, from her album ‘Pure’. It was a predestined title ! It’s poetic, wild, crystalline and – I need to say it once more – pure. Sissel was the ice, Tanja Tzarovska the fire and Hayley became my beautiful Princess of Light. I look forward to the rest when you have time to do it. Thank you very much for your kind words, Mark and Grant. Here's another part of James' interview. More to follow + Hayley's full interview translation. How did Hayley Westenra reincarnate herself in your New World? We know very little of New Zealand and this country remains a New World to discover. It kept its culture, its isolation, its traditions. The valleys, the rivers, the mountains…I have the impression that this country still allows the grass to grow, the rivers to flow and the birds to sing. Hayley is one of those birds. Despite the modernity of our current world, when I listen to her singing ‘Pokarekare Ana’ or ‘Prayer’ of her latest album ‘Odyssey’ – another predestined title ! –, I see the Nature herself. Culture, isolation, tradition…Hayley has them all because her country offered her everything and she knew how to absorb and understand it. The talented geography, that’s what she also learned from her “local colours”. To some extent, there is also a surprising physiognomic resemblance and an unexpected metaphysics link. A shyness – no – I’d say a discreet anguish. She is reserved too, modest. Very pure, like you just said. I told you earlier that she was the Princess of Light. Does that answer to your question (giggles)? We didn’t talk much before I started composing even though I met him quite often. Terrence doesn’t talk much anyway. I was imagining all these fabulous images and I was pretty fascinated: birds, trees, the sun…and this girl who seemed to make one with all these elements. The story was obviously important, but our interest was elsewhere. You are doing a fantastic job which will be greatly appreciated by everyone. 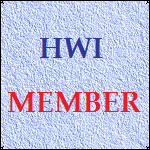 "Stephany - HWI Site Manager, Media Correspondent, Global Moderator and Official Translator". How are we going to fit all that into your profile? Yes, I read those words, but you did a better translation than I would have done. Thanks! Thanks for finding and scanning the article and for your forthcoming translation. I can only get the gist rather than the full detail of the French. You're an ! It's inspired me to listen to "ecouter le vent" several times already this morning. Do you know I think I might be starting to understand where Mr Malick could be coming from. Pure speculation of course. The clue is in the introduction to Hayleys new biography which I obtained yesterday. Hayley rightly says that she is blessed with "a voice that makes people stop and listen". That made me stop and think, and wonder whether making people stop and listen is a desirable attribute for film background music. Perhaps Mr Malick thought that music like that would distract people away from watching the film, because they would want to listen to the music instead! Perhaps that's what was meant by Mr Malick being "afraid of Hayley's voice". I know myself that Hayleys voice DOES grab my attention and refuse to let it go. That's why I don't play her music much in the car, it makes it harder to concentrate on my driving. However, knowing Hayley was involved would make me more likely to go and see the film, so it works both ways. I still think Mr Malick was wrong! Martin, I suspect that you are exactly right about the reason that has pushed Mr Malick to remove Hayley's voice from the movie. He apparently considered that her voice was too present whereas James Horner thought that it was entirely part of the New World. ’Apparitions in the field’ refers to the first meeting between Pocahontas and John Smith. I had decided to use the silence when Pocahontas and her brother were playing in the fields and then the music was starting when she first layed her eyes on John Smith. It was supposed to last one minute and it was a mysterious, profound, noble moment. […] Then Hayley would have started covering their first dialogue, their first delicate exchange. I wanted her to use a moving tone, discreet and almost innocent. […] Unfortunately, Terrence Malick changed his mind and preferred using the silence to tell their first meeting. He even used Mozart’s Piano Concerto n°23 during the sequence with Pocahontas and her brother. I still don’t understand why! Then Terrence Malick eventually suggested to use the music I had composed but without Hayley’s voice. I refused. Music became silent again. There was a beautiful sequence during which Pocahontas was walking barefoot on a tree and meeting John Smith’s gaze for the second time. Terrence Malick didn’t keep this scene but I proceeded the same way than I did for the previous track. Hayley was calling this man. With all the sincerity of her voice, she was calling again and again. It was a call of devotion. […] Unfortunately there wasn’t enough space on the disk to include the full track of ’A flame within’?. A pity. Many thanks for the translation so far, Stephany! I'm sure James Horner will want Hayley to record for his film scores again, but I'll be very surprised if either of them ever have any further dealings with Terrence Malick. I'm looking forward to reading Hayley's interview, but don't rush. Good luck with your exams! I find this rather remarkable.....Horner has worked with some of the best singers in the world. The fact that he seems to think so highly of Hayley says a lot about her professional credibility. A soundtrack - perhaps with Horner, perhaps with someone else - may very well be Hayley's gateway to bigger fame some day. I harbor a secret hope that whoever scores "The Hobbit" will keep her in mind. Tis a natural fit. Here's the last part of James Horner's interview. I'll start 'working' on Hayley's interview this weekend! How do you feel about the way your music was used in this movie? Nothing was supposed to happen this way. I was aware of Terrence Malick’s tendency to add tracks by Erik Satie, Camille Saint-Saëns or even Gabriel Fauré to replace partially the soundtracks composed specifically for his movies by Ennio Morricone or Hans Zimmer. I thought it would be different with me because I was involved in the project very early on. Terrence Malick seemed to approve everything I was doing at the beginning. […] But in reality, it was never the case. Malick had doubts all along. He especially believed that Pocahontas was becoming too intrusive. […] He eventually refused to include the voice of Pocahontas that we had both approved – and that I personally still approve. […] What a waste! Paul Brouceck and the people from New Line didn’t understand his decision either. We all tried to convince Terrence Malick to change his mind but he was the one in charge of the editing so in the end I gave up. It’s a shame that I couldn’t include everything on this soundtrack – there was so much that I wanted you to hear. Even if the first album is selling very well, I don’t think there will be another one. For the reason you just mentioned: the contrast. The lyrics of Glen Ballard were of very high quality and we needed Hayley to outperform herself but in a different way, almost at the opposite of what she had done so far on the soundtrack. I asked her to adopt a delicious voice with perfect diction, a minimum of inflexions, clarity in her words and constant emotion. For ’The New World’, Hayley managed to build an expressive architecture that echoes in eternity. Her voice was one with this young woman. Prisoner or free, wild or civilized, Hayley conquered the wind. In ’Listen to the wind’, she listened to it and called it for us. Thank you for the latest installment of the translation - it makes for very interesting reading. It also makes me wonder why people continue to work with Malick, he sounds like a bit of a loose canon to me! The lyrics of Glen Ballard were of very high quality and we needed Hayley to outperform herself but in a different way, almost at the opposite of what she had done so far on the soundtrack. I asked her to adopt a delicious voice with perfect diction, a minimum of inflexions, clarity in her words and constant emotion. For ’The New World’, Hayley managed to build an expressive architecture that echoes in eternity. Her voice was one with this young woman. Prisoner or free, wild or civilized, Hayley conquered the wind. In ’Listen to the wind’, she listened to it and called it for us. She must be amazing to work with, with comments like that! Not only is Hayley pushing her own boundaries but, it seems, those she works with are pushing them as well!! I can just imagine the thought process "We need someone to do what!? But it's never been done before - better give Hayley Westenra a ring ......"
Now that is interesting. I've always suspected that Hayley can change her vocal style to order, or perhaps I should say by request. Thanks Stephany for these articles and the story you have unearthed. I found it totally fascinating. I also agree with Martin on the probability that Hayley's contribution was suppressed due to its over-powering presence. It isnt that unusual for a very good singer to be able to create different effects with their voice. For example, Horner had similar praise (though far less effusive) for CC's work with him on "A Beautiful Mind" - her voice blended very well with the instrumentation, to the extent that at times a piece would be playing for a while, and unless you were very attentive you might actually miss the spot where she came in.